It’s that time of year… work is winding down as we prepare to head into the holidays. Got a couple minutes to spare? 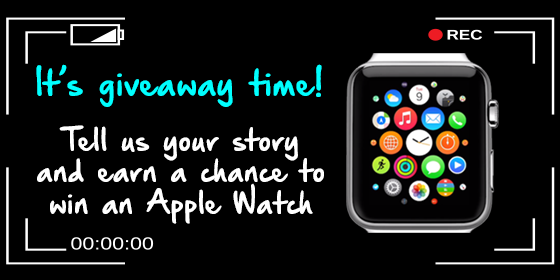 Join our Apple Watch giveaway contest! To enter, just record a short video of yourself (two minutes or less) sharing how DNASTAR software helps make your life easier. Send us the link to your video, then sit back, relax and wait for us to announce the winner mid-January.